E! announced that Victoria Beckham will receive the first ever “The E! People’s Choice Awards” Fashion Icon Award. The creative director of the Victoria Beckham brand and internationally recognized style icon will receive the award honoring her for her global influence on the fashion industry. “The E! 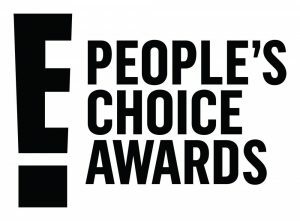 People’s Choice Awards” will be broadcast live from Barker Hangar in Santa Monica on Sunday, November 11 from 9:00-11:00pm ET/PT. “The E! People’s Choice Awards,” celebrating movies, television, music and pop culture, will broadcast live across the cable networks of NBCUniversal, including Bravo, E!, SYFY, Universo and USA Network, and will air in 161 countries. “E! Live from the Red Carpet: The E! People’s Choice Awards,” will air only on E! starting at 7:00pm ET/PT. Both “The E! People’s Choice Awards” and “E! Live from the Red Carpet: The E! People’s Choice Awards” will be streaming live on the E! app and Eonline. As part of E!’s commitment to evolve and super-charge “People’s Choice Awards” for the next generation, the network has expanded the voting to 43 categories across movies, television, music and pop culture. This evolution encompasses 13 brand new categories, including “The Bingeworthy Show of 2018,” “The Game Changer of 2018,” “The Revival Show of 2018,” “The Style Star of 2018,” and more. Follow along on social media during the “Live from the Red Carpet” and the awards show broadcasts for all the latest gifs, memes and special moments in real time. E! is the only global, multi-platform brand for all things pop culture. The network is currently available to 91 million cable and satellite subscribers in the U.S and 161 countries globally. “E! News” airs nightly on the network and is the leading multi-platform publisher delivering breaking entertainment news and pop culture coverage 24/7 across EOnline.com and all digital and social media. E! programming includes popular series “Keeping Up with the Kardashians,” “Total Divas,” “Total Bellas,” “Botched,” “Hollywood Medium with Tyler Henry,” “Very Cavallari” and its newest late night topical series “Busy Tonight.” The brand’s robust digital programming slate includes “E! News’ The Rundown” “Face Forward” and “What The Fashion” on Snapchat. E!’s “Live from the Red Carpet” signature events keep fans connected to their favorite stars on pop culture’s biggest nights and on November 11 E! becomes the home of “The E! People’s Choice Awards.” E! is a network of NBCUniversal Cable Entertainment, a division of NBCUniversal, one of the world’s leading media and entertainment companies in the development, production, and marketing of entertainment, news and information to a global audience. For more corporate information, visit www.nbcuniversal.com.